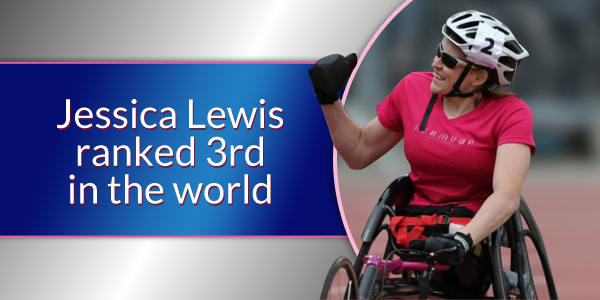 The International Paralympic Committee have released their 2015 rankings, with Bermuda’s Jessica Lewis ranked 3rd in the world in the 100 metres and 4th in the 200 metres. While the 100m is her strongest race, the 22-year-old sprinter competes in four distances, and in addition to her 3rd world ranking in the T53 100m and 4th in the T53 200m, she is also ranked 13th in the T53 400m and 15th in the T53 800m. Ms Lewis had an excellent racing season in 2015, which saw her win Bermuda’s first ever major medals in para-sports, winning gold at the Parapan Am Games in Toronto as well as bronze at the IPC World Championships in Qatar. Her gold medal win at the Parapan Games came in record setting style, with Ms Lewis blowing the field away to finish lengths ahead of the other sprinters in a new Parapan record time. Ms Lewis is now training for the 2016 Paralympics, set for September in Rio de Janeiro, Brazil, where she will be making her second Paralympic appearance for Bermuda, competing in multiple distances and expected to be a medal threat in the 100m. That’s my “grand”-girl ! She’s an amazing athlete, and an amazing individual ! Thanks for the coverage ……………….. AWESOME!! Thanks for making Bermuda proud. So AB-Fab!!!! Give her my love & tell her how proud of her I am! Our Jessica sends congrats too, by the way! For some reason the “Like” voting with the Comments, above, won’t register my Votes tonight (usually it works…). I Vote “LIKE” on all the Comments above, and send you hugs and CHEERS of Support and Admiration for this particularly significant Win, and for all you do!!! You are a great and terrific Inspiration, (especially to those of us who also have been paralyzed). Congratulations, and God Speed to you, Wondrous One!!!!! Well done, Jess! Always knew you were destined for great things!